Just wanted to share some pics and links from our math lesson on Friday (I know it is Tuesday but it is my Spring Break - so I took a little break). I have been very jealous of all the people sharing ideas of their class using whiteboard markers on their desks (leaving notes for students, jotting down ideas during videos or read alouds) so I had to try it too. I figured the Friday before Spring Break would be a great time because it would mean a fun activity for my class and cleaning our desks off and then washing them when we were done - definitely a win-win situation. 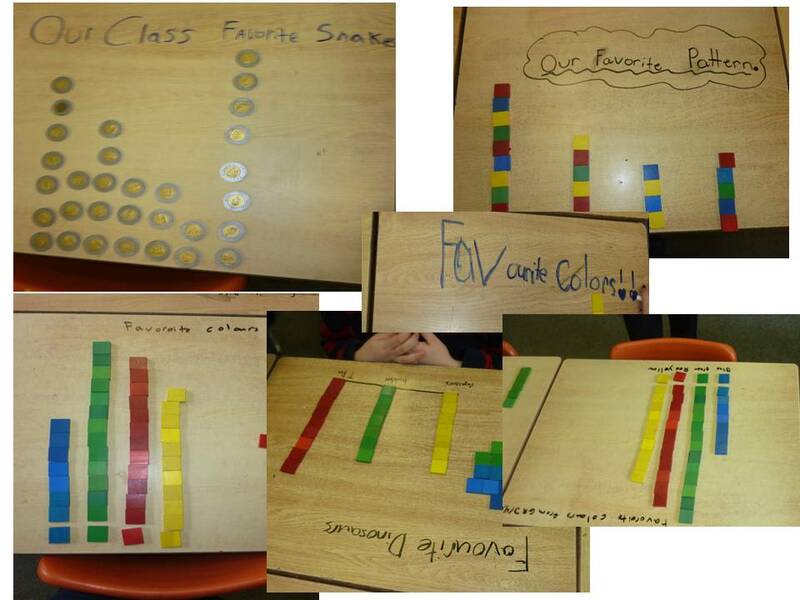 I told my class to make a graph on their desk using any of our math tools that they wanted. No data collection - no titles, no labels (just yet). Then we went group to group looking at each other's displays. We talked about the good and the not so good (using two types of money in one column, mixing colours together, scrunching up the info ). Students went back to their graphs and fixed anything they wanted to after looking and talking about the work of their classmates. Next they were given whiteboard/wipe-off markers and told to add a title to their graph. They were in heaven! They couldn't believe I wanted them to write on their desk. Next they were asked to add labels, a scale or a key and choices. We went on a talking tour of their work again. Finally we regrouped on the carpet to consolidate some learning from this activity (I made an anchor chart but didn't snap a pic - trust me it was just writing with alternate colour markers and quick illustrations for the points - nothing fancy). 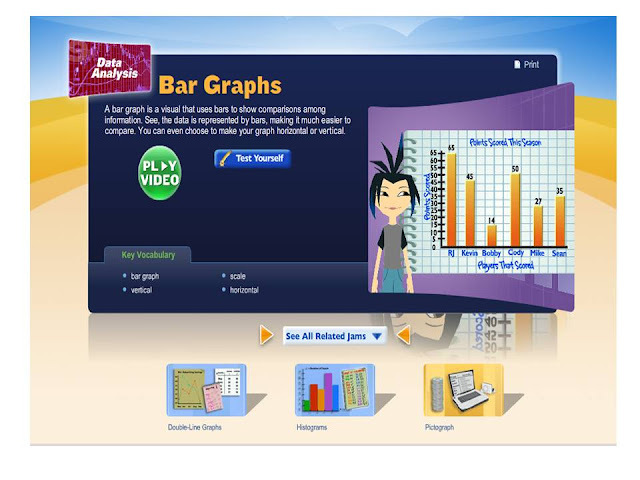 During our math lessons on bar graphs last week we also watched two great videos. The first is from Study Jams - I learned about this website form the amazing and inspiring Elizabeth over at Fun in Room 4B. Study Jams has videos for both Math and Science topics. Click on the pic to head to the video. The next is from Brain PopJr. (I do not have a membership - just used the free stuff). 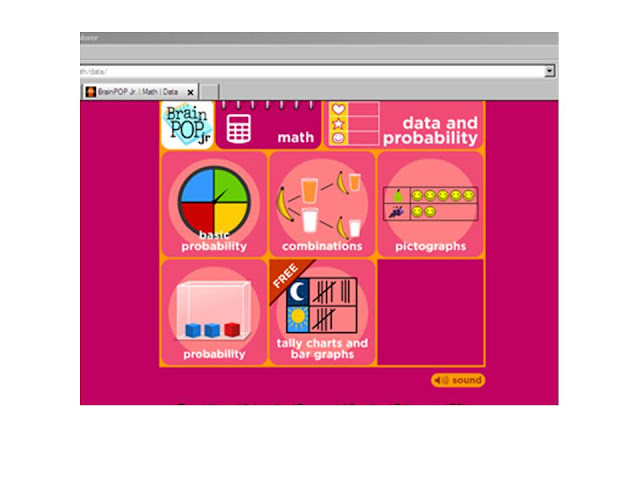 I learned about this site from the fantastic Catherine at The Brown-Bag Teacher. I haven't checked this site out too much yet - but I did like this video. Click on the pic to head to the site. Speaking of websites - my daughter and I recommended Bitstrips for School last week - I totally forgot it was a pay for use site - both of our boards buy a membership for the whole school board - did not mean to lead anyone astray - just didn't think of it till I saw a comment about it on Pinterest. If your school or board is every looking to spend technology funds this might be a site to check out (or even do the 30 day free trial). Off to make dinner for the family - apparently Spring Break does note equal a break from cooking! No reason to apologize! $9.95 isn't too much. :) My kids LOVE to write on their desks. We "Make Words" by writing on our desks/my rainbow table sometimes, as a treat. Thanks! We will definitely be writing on our desks again! I love that idea of making the graphs on the desks and writing with dry erase markers! It seems like it really got the kids motivated. I like how the students got to walk around and see the graphs and then make changes to their own. Thanks. My class has really grown in their ability to talk to each other about their math and their thinking through these walk and talks. Isn't it amazing how a different medium can get our kids so much more excited? I love that you let them use a mix of materials! I'm excited to have found your blog! :) I'm a new 3rd grade teacher this year and I'm your newest follower. I am glad you found my blog - so that I could find your blog! Hopefully we will have lots of grade 3 ideas to share with each other!